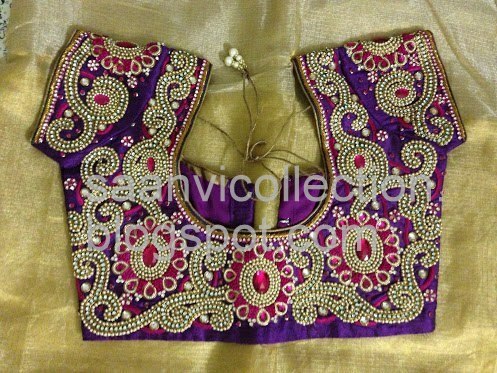 Violet color silk blouse is designed with heavy work. 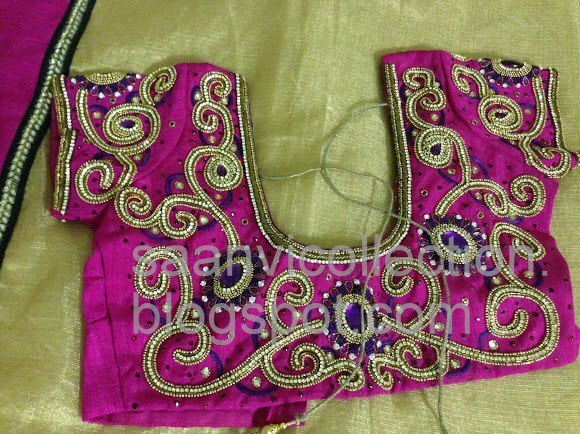 Pink kundans are used highlighting the design with stone line and peals .. Pink color blouse designed with blue kundans, stone line all over the blouse and highlighting with transparent beeds.